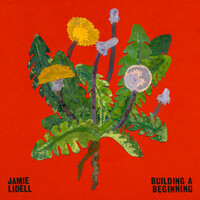 Swapping the 80s-endebted funk of 2013’s self-titled release for smooth, 70s-influenced soul, Building A Beginning marks a new career high for Jamie Lidell. Here, the British singer-songwriter discusses collaboration, domestic contentment in Nashville and no longer caring about being perceived as “cool”. You live in Nashville now. Aside from the country music industry and Jack White’s Third Man label, is there much sense of community amongst musicians there? You refer to yourself as an outsider, but you’ve been writing with a lot of other artists recently. Yeah, that’s true. I love co-writes because you come in on a Monday morning, perhaps having never met the person, and you just know what you’re there for. There’s this blank canvas and hopefully by the end of the day you have a finished product, so it’s a satisfying process. I feel like all those years of being a hermit, working on my craft, have given me tools to mutate, and to hang with different people. So it’s true, I do like to collaborate. I just pick my moments, I guess. I don’t want to be cool. I’d rather say something that was true, and risk making people think I’m too sentimental. Does your experience with co-writing now influence your own solo creative process? I think it does. One thing that became clear to me is that the co-writing thing can be quite frustrating. You can feel like you’ve done something really good for an artist, but then all the other forces that surround that artist – their management, their A&R – don’t get the vision or don’t like it, and you’re left wondering what happened. I think through all of that, I’ve come back to some simple realisations that some songs are just undeniable, and that’s what I was looking for on my record. My repertoire has been really growing over the years and, because this record took me a few years to make, it gave me the luxury of being able to go back and pick my faves. Did starting your own label afford you more freedom too? Not necessarily. Warp were always pretty good to me. It was more this moment I had where I was wondering if I was going to carry on making my own records, to be honest. After I left Warp, I realised I didn’t have to do that anymore. 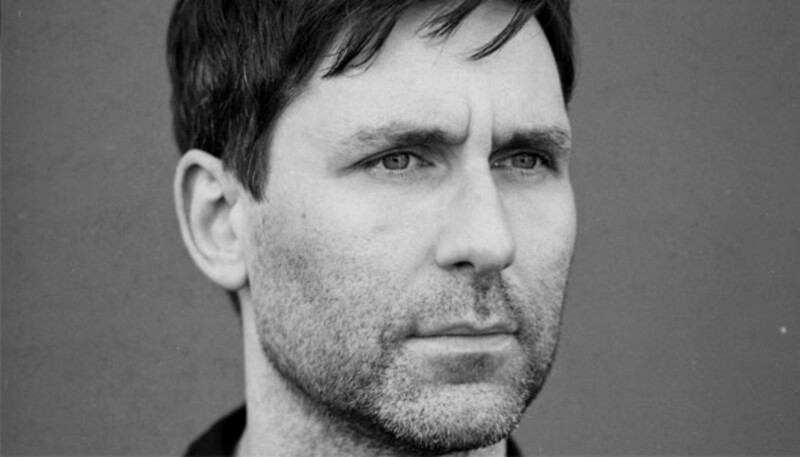 I didn’t have to do the Jamie Lidell thing at all; I could just be a co-writer. I could just reinvent myself however I like, because I had no obligation to carry on. So I think what was nice about starting my label was that I had this new drive. It was just a slight shift in motivation that amounted to making me feel reinvigorated, and that was all I needed actually. It’s a bit like moving house: nothing has really changed inside you, but new opportunities emerge in your mind and you look at yourself a little differently. Why were you considering quitting solo work, and what persuaded you to continue? Well, you know, I’ve become a dad. And a lot of the record business is almost a bit of a treadmill: you record your record, you mix it, you release it, you do the promo, you go on tour, and repeat. So having done that for close to 20 years, I felt like maybe I should change something, you know? But I realised that there are a lot of ways to do each of those steps. For example, nowadays I am in such control that I can really enjoy making music at my own pace, in my own room, with people that I really like. I’ve basically lived slightly under the radar for years and I think it’s been a blessing, really. I’ve only ever done music as a career, and I’m not really successful or rich from it but I’ve kept a steady flow, and that’s the conclusion I came to: I like rolling along. Building A Beginning marks a shift away from the 80s funk feel of your last album, towards early 70s soul. What prompted that change? Obviously, the main focus in my life these days is being a family guy and enjoying all that entails. [There’s] something about that beautiful time in the 70s, where music had to be live and there was a real emphasis on performance and vocals. It was a warts and all approach to making music, because of technological limitations I guess. A lot of [music] nowadays is over-polished or over-worked. So I guess feeling a natural high from this change in my life, I wanted to make music to go with that. But I didn’t really think about it to be honest; I just followed what felt right. I feel like it came out this way without me having to try, and that’s always a good sign. I have the luxury of not having such a tight brand concern, if you know what I mean; I can keep going and keep changing. Vocally, there’s an incredible resemblance to Stevie Wonder. Are you a fan of his music? Oh yeah. Stevie embodies music that is hard to find now, for lots of reasons, be that the era he grew up in, the grooming of Berry Gordy, or him being blind and feeling music so intensely. He could make a really buoyant, super-positive song in a major key and make you feel this rush of life and happiness, and I’ve always wanted to make that kind of music, really. In a lot of modern music, the cool aesthetic is always dark and about pain and all that sh*t, which is cool but it makes me realise that it’s much harder to tap into the joy. Who really does that better than Stevie? So he’s a natural role model for me, in terms of being someone who just shows you how to make something completely jubilant. Lyrically, the album is unabashedly hopeful, and often very romantic. In that sense, it’s the antithesis of the idea that you have to be a tortured artist to do your best work. (Laughs) Well you know, it’s not like the process is without any pain in the decision making. But it’s true that the pain comes in different areas. As I’ve got older I’ve just realised that I don’t want to be cool. I’d rather say something that was true, and risk making people think I’m too sentimental or too romantic. I feel it’s good therapy for me to get on stage every night and remind myself of things. It’s important to me. I want to be that person: I want to be able to express my thoughts. I mean, obviously you have to be careful and you have to frame it so that it’s sincere, but I don’t have a problem with it. That’s the way I am in life anyway, so it really doesn’t bother me. People have been describing this record as your best. At this point, how do you feel about Building A Beginning, in comparison to the way you felt with previous albums? I think [the album] shows good evolution. In a lot of ways it really is my most successful collection of songs. We’ve just started to play live shows with a band and it’s really important that you can lean on the songs in the live context; it’s the ultimate test. They’ve just been feeling really solid. "I Live To Make You Smile" is on the edge in terms of people going, “Can you really pull that sort of sentiment off?” But when we play it live, the joy is immense. It’s more joyful than on the record and it’s a great thing for me, to feel that kind of energy in the room. So yeah, I’d be down with saying it’s my best work. (Laughs) It makes me happy to think I’ve still got so much left inside me. On your last album, you worked pretty much independently, whereas this one features scores of incredible musicians. Can you tell us about the line-up you assembled? I mean, there are a lot of amazing players on the record but Pino Palladino is obviously a stand-out. Somehow he’d become aware of my stuff over the years, and he’d call me periodically, just out of the blue. I remember walking to the shops and getting a strange call from an English number, and it would be him saying, “I’m a fan – maybe we could do something?” And I was like, “Great!” and then I wouldn’t hear from him for years. I had one of those calls not so long ago, and he was actually in Nashville working with Keith Urban. So I invited him to come and stay with me and my wife, and one night I played him some of the stuff I was working on and asked if he’d mind having a play on some of it. We were getting stoned – and I don’t really smoke weed anymore really, but with Pino you’ve kind-of got to – so I was trying my best to still record him without losing my sh*t (laughs). He did it for love and that was a really magic moment for me, because it felt like if he was doing it in this capacity it’s got to be a good sign. So he blessed the record in a way. And then Daryl Jones on drums is just a beast. I had all these tracks from a few years ago, and trying to make an album out of disparate material like that is tricky so I knew I wanted to record all the drums in one go and in one place. So Daryl took care of that, which was amazing. And then I had Chaka Khan’s backing singers – ridiculous talent. I’ve learned so much from these guys it’s incredible. Looking at your back catalogue, you’ve been on a tremendous journey this past 20 years. At this stage in your career, are you still learning new things about yourself? Yeah, yeah, absolutely. It’s a weird thing, I remember reading that Keith Richards book and him saying that music was like a crazy addiction, and I completely relate. That’s exactly how I feel about it. It’s funny, every day my son will go up to the guitar and he’s never bored of it, and I feel the same way. (Laughs) I should be bored of all these instruments – I’ve played them and been around them since I was a teenager, so why am I not bored of it? It’s just a mystery. When you find your passion in life, you’re just really lucky to make it into your life and keep transforming it. I keep coming back because I feel like I’m only scratching the surface, especially with me working with all of these great musicians. I feel humbled. Having written the songs is nice but, man, there’s always something to learn. So you’d say your motivation for making music is the same as when you started out? I mean, really it is. It’s an obsession really. At the beginning, naivety is a great motivator and you feel indestructible because you’re young and you’re cocky. Then you have a few beat downs and then you have to make a decision as to whether you’re going to carry on. I think once you’ve got past that, you realise that not everyone likes your sh*t and you’re not going to always be part of this scene or that scene, or Pitchfork might give you a sh*t review. (Laughs) And when all of these realities kick in, you think, “Why am I actually doing this?” And then you get to a new place where you’re free of it all. It’s a good feeling to be side-stepping all of that. The earlier things that used to be able to bring me down can’t bring me down any more, and I know myself more as a person. And music does teach you a lot of that stuff, if you do collaborate with other musicians, and if you do share the ups and downs with everyone onstage, and in recordings. Over the years it can either really mess you up or, if you can keep evolving with it, it can be the gift that keeps on giving.